It's a podcast that has been forty years in the making - which makes it even stranger that we ended up recording it on Bonfire Night! 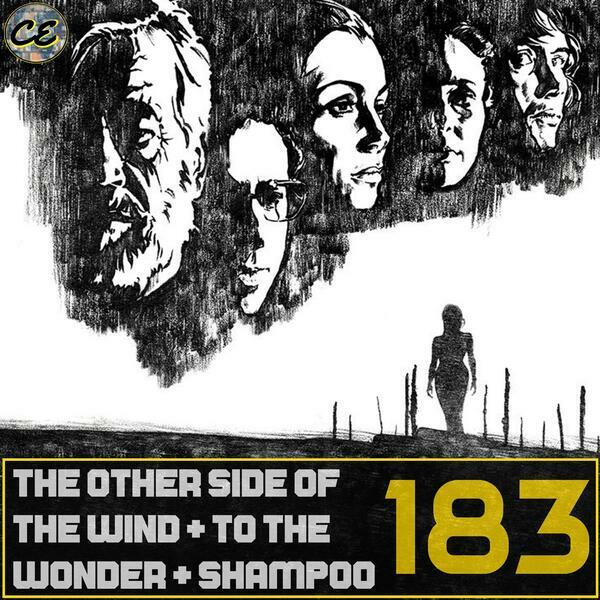 This week the Eclectica gang get together for a chat about the latet Orson Welles's extremely late-period film "The Other Side of the Wind", but that's not the only late-period directorial indulgence, as Off the Shelf sees Graham take up a cudgel in defence of Terrence Malick's misunderstood "To the Wonder". Meanwhile, Aidan discovers some prime-era Hal Ashby with Warren Beatty, Julie Christie and the late Carrie Fisher starring in "Shampoo", which has been newly reissued on Blu-Ray by the Criterion Collection. We also pitch an all-directors remake of Inside Out, because we can. Did you like the show? Then why not share us with your friends, check out the Geek Show's YouTube Channel, or give us a rating on the podcast provider of your choice. You can also follow us on Twitter @TGS_TheGeekShow, or on other social media by searching for The Geek Show. If you want to show your support then head over to Patreon and give whatever you can. Alternatively, we have a shop up and running so head over to The Geek Shop and partake in some of our lovely wares.